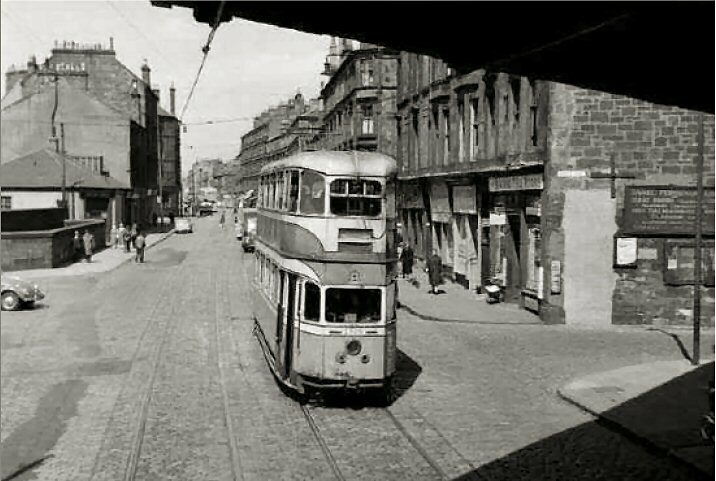 The boundary between the lands of Dalmarnock and Bridgeton, formerly called Bridge Town, was delineated by a burn that ran between what is now called Dunn Street and Nuneaton Street, crossed Dalmarnock Road and went down what is known as Bartholomew Street and continued down what is known as Carstairs Street before outfalling to the River Clyde. According to the 1816 Ordnance Survey map Webster Street and all streets east of Carstairs Street, i.e. 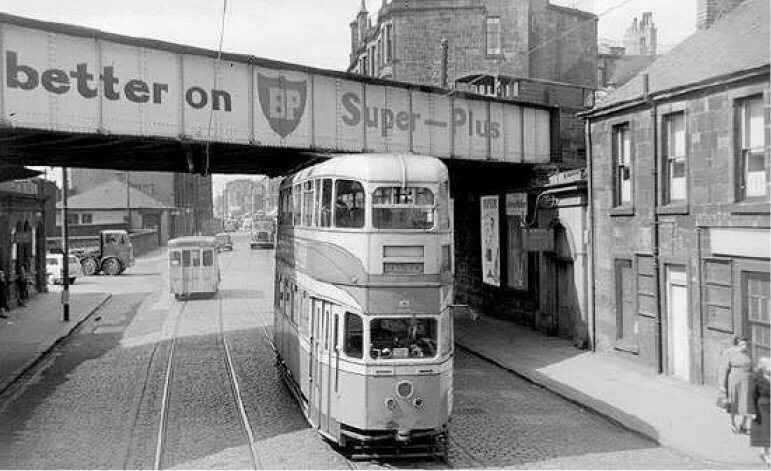 Swanston Street and Mordaunt Street are in Dalmarnock. 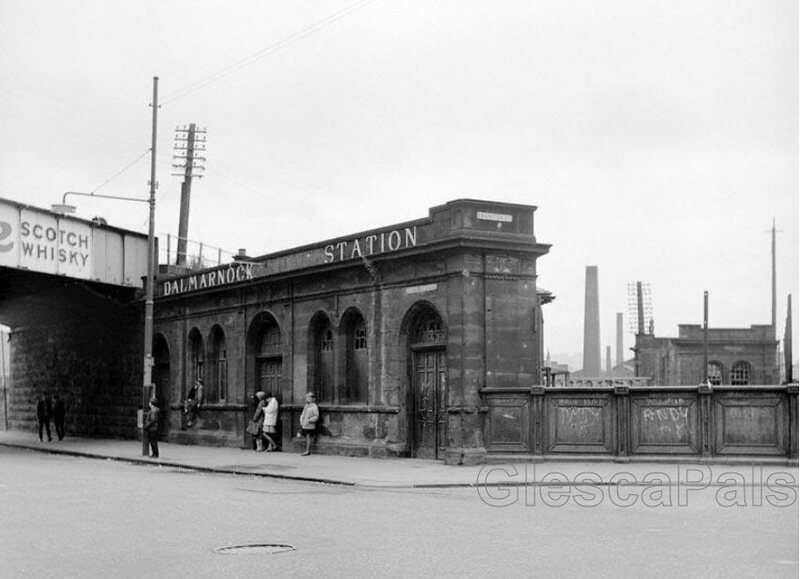 The Railway and its bridges were later built on the lands of Dalmarnock and "Dalmarnock House" located between Swanston Street, the new railway line and Strathclyde Street was still standing and is shown on the 1892 Ordnance Survey map. The main "Dalmarnock House", was located further east between Dalmarnock Road, Allan Street and the River Clyde all as shown on the 1897 Ordnance Survey Map. I'd like tae thank GlescaPal Wm.Neilly for unearthing this info .... 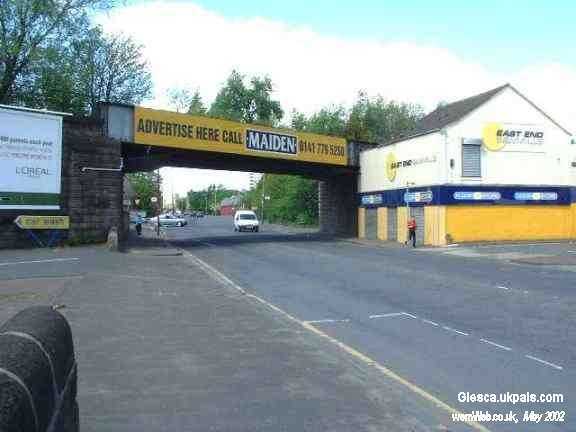 I and many other of the GlescaPal members were told many years ago, that the railway bridge crossing Baltic Street and Dalmarnock Road was the divider between Dalmarnock and Bridgeton, obviously it was easy to use and mark as the boundary. photo 1967 courtesy Norrie & mustang . The East End sawmills has been there for as long as I can remember.